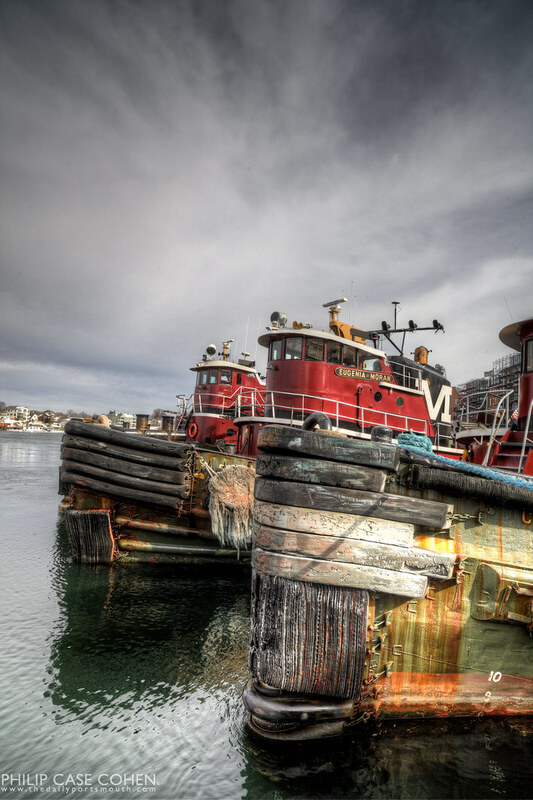 The soft afternoon light with a cloud covered sky with some blue sky peeking through made for a lovely portrait of the Moran Towing tugboats. For me, this was an exercise at capturing a familiar scene in a new light (literally), and trying a new take on things to keep it somewhat fresh…with a vertical approach and some rich light on the bow of the tugboat (rather than the recent shots featuring snow and blizzard conditions). Happy Friday to all and to all a great weekend! Wow. Love the color and texture contrasts here between the boats and the sky. This is a photo I could sit and stare at for hours. Must look amazing printed in a large size.